Marking the franchise's 25 anniversary, Dragon Quest I, II and III are headed to the Nintendo Wii. The bundle will be out September 15 in Japan. More info here about the set. 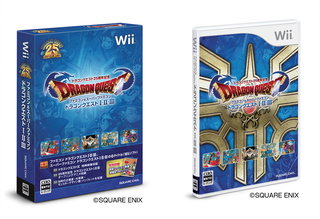 Would Your Wii Like Some Dragon Quest Games? This DQ compilation has more than spiffy box art. It also includes Dragon Quest X bonus footage.